Anne Neville was the heiress and daughter of the greatest powerbroker in the land, Richard Neville, Earl of Warwick, to be known to history as the Kingmaker. Trapped in a deadly tangle of political intrigue Anne is a pawn in an uncertain game, used by the house of Neville, York and Lancaster alike. In England’s glittering, treacherous court, not all wish to see the Nevilles raised high. The Earl of Warwick’s ambition and pride lead him to an attempt to depose the Yorkist King: his treason forces his family into exile. Humiliated and powerless in a foreign land, Anne must find the courage and the wit to survive in a man’s world. 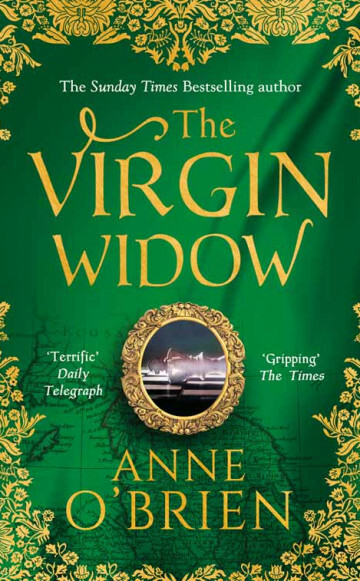 "O'Brien has created realistic, multifaceted characters in both Richard and Anne. Using Anne as the narrator gives the events a unique perspective. Filled with political intrigue and romance, I highly recommend this title." "O'Brien has excellent control over the historical material and a rich sense of characterization, making for a fascinating and surprisingly female-focused look at one of the most turbulent periods of English history." A tale of intrigue, betrayal and desire in medieval England told through the eyes of a woman who became England's queen.